12. 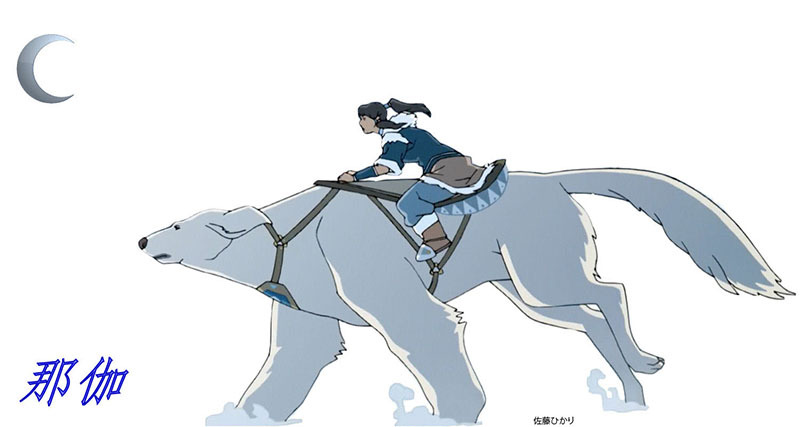 "RE: (CTCS) Mission Time Zero-Zero-Zero"
>>of a Polarbear-dog on the Naga's hull. Basically, they're running toward the moon from the Southern Water Tribe flag. The image is reversed, but not mirrored, for the right side of the aircraft (i.e., they're running left to right, toward the moon, but the moon is still a waning crescent).